A new food truck (the only food truck) is in town, Big Love Burritos. 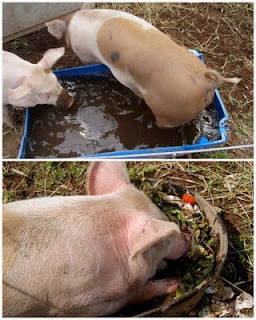 They are super awesome, and since The Community School is 'home base', the piggies get slopped with really good food! 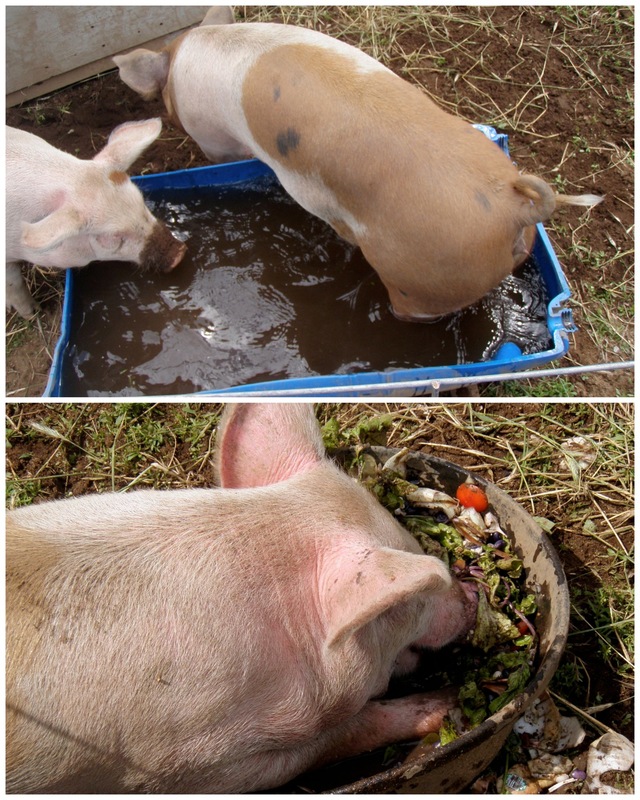 Kevin and Sassafras are taking turns in the 'pool' while Hamlet is LOVEing himself some Big Love slop!